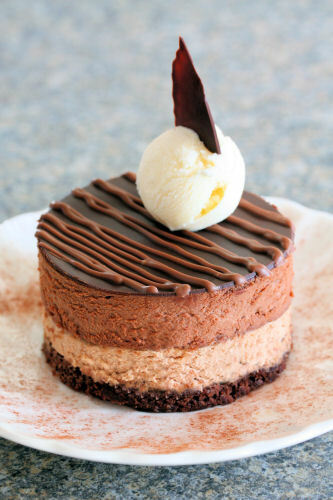 This looks sooooo yummy, I want it now! I was just wondering today where you were. But the post was worth waiting for. Wow looks fabulous and so elegant. Pleased you left out the gelatine, I hate that in products! There is no need for it either as creamy things usually set after a chill in the fridge. Looks divine!! Oh wow, that really is stunning. Just reading the ingredients make me really excited...hazelnuts, chocolate...Yum!A must try! Have you been missing, or have I missed seeing your posts. Gosh, this is tunning good Nic. I know you love everything chocolate and I'm glad you do. MUST MAKE THESE! I even have the rings from my little shop in Old Delhi. These are absolutely stunning! Big HUGS my friend. I miss you! 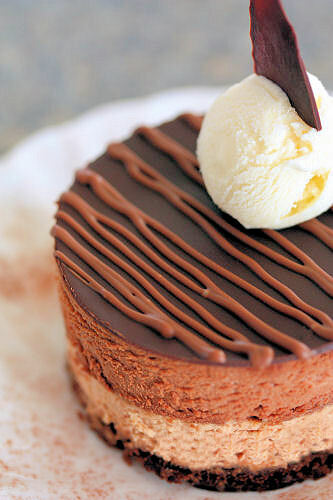 What a gorgeous dessert, you've decorated it so elegantly. Lovely variety of textures. That looks amazing - I'm not letting Paul see it or he'll have me attempt to make it! wow this looks so luscious and decadent. such a beautiful picture! if i wasn't before, i'm definitely craving chocolate now! Waw, what a truly amazing & appetizing cake! They look so professional, I would pay to eat these! Wow! This looks super glamorous! I thought it was a Daring Bakers' entry at first! Love the layers and flavours. This looks so heavenly and well executed... I really love it! Why yes I am craving chocolate, how did you know? :) Looks great! I just pinned so I won't forget about it! Sounds incredible!!! Wish I had some right now! This is simply heaven on a plate. The ingredients are divine and the finished article is so stunning! this looks delicious! Do you think it could be made into a cake, instead of individual servings? Hi Alice, thanks for your comment! I'm sure you probably could make one cake instead of small ones. You would have to cover the top in very cool ganache though, instead of using a large chocolate disc which would break, I think. 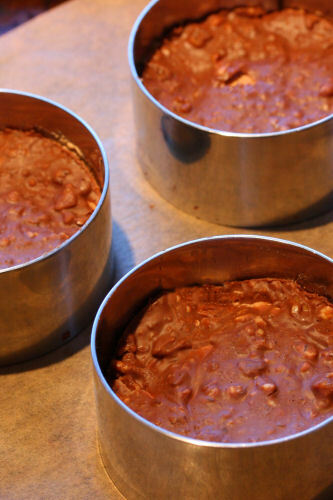 Not too sure about pouring the praline disc mixture in the middle onto the mousse, it's quite firm - but you could do it as for the individual ones and then break it up and layer over the middle. MUITO LINDO E DEVE SER SUPER SABOROSO.BJS, POSTEI NO MEU BLOG.